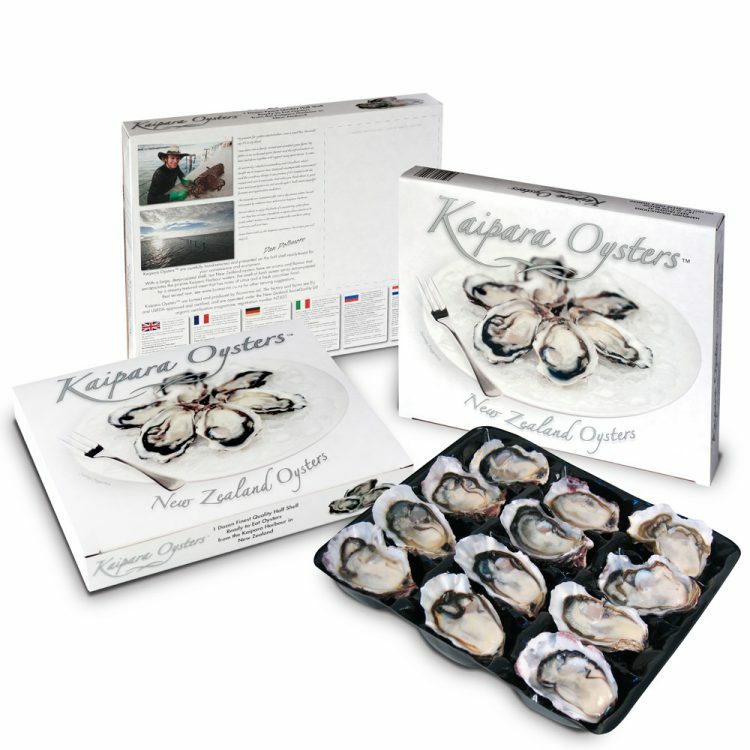 Kaipara Oysters are available in a variety of styles including whole shell (live and frozen), half shell (frozen and fresh chilled). Each Kaipara Oyster is carefully hand-selected and then individually size-graded to offer the most consistent appearance. This policy ensures end-consumers receive a plate of delicious and near-identical oysters every time. After selection, the majority of the oysters are presented as half-shell, placed into specially developed trays and put into full-colour cartons. These cartons are then packed into a protective sleeve for optimum, cost-effective storage and distribution. Each master carton comprises 20 x 1 dozen retail cartons.